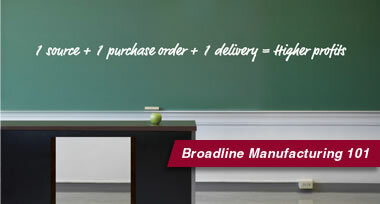 Just one purchase order and one delivery is all it takes! Every time we pull up to your loading dock or arrive at the job site, you'll be reminded how Eagle's unique broadline manufacturing capability saves you money on administrative, freight, receiving and installation costs. ...As much as 12% or more on a typical project! Then factor in our proven equipment quality, design ingenuity, custom fabrication capabilities and caring customer service, and it's easy to see how we help deliver more savings and profits. Systematically...project after project.